End negative self-talk and self-sabotage, gaining the power to choose self-compassion over self-criticism. Treat your body as sacred, accepting and nourishing it. Know who you really are at your core and define the internal strength, confidence, and courage to create a world that reflects this back to you. Say NO to negative relationships of any kind (emotional or physical), loving yourself so much that you only choose loving, respectful relationships. The Path of Self Love Course occurs over an 8-week timeframe. One one-hour lesson per week with a small amount of self-loving ‘homework’ assigned for the week. There is one track for women and a different track for girls, adolescents, and teens. 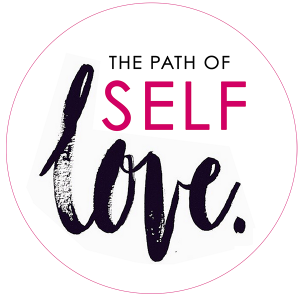 Please submit below if you are interested in the Path of Self Love course for your group. YES! I am interested in speaking with Megan about this course. How long is each exercise? It will take fifteen minutes to an hour on average each week to complete the given exercise. Many individuals start and then find that they want to spend more time given that the exercises can be quite fun! How are the weekly meetings held? They are held through ZOOM, an online video conferencing system. Do I need to buy software to use ZOOM? No! ZOOM is freely available to you and you will be provided all instructions for using it.